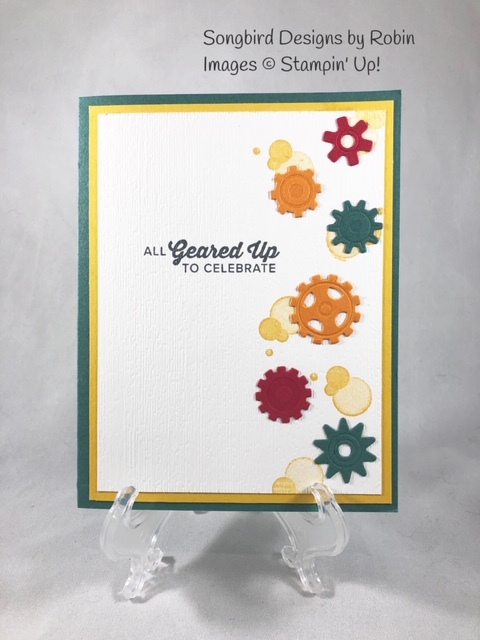 My card today uses the fun Geared Up Garage Bundle found on page 43 of the Occasions Catalog. 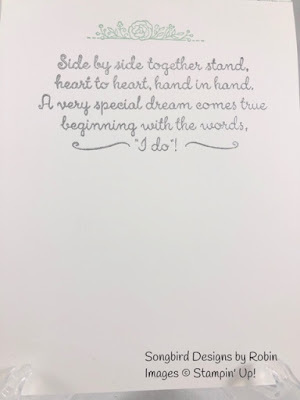 I'm sending this card to my son for his birthday in April. Shhhhh! Don't tell! 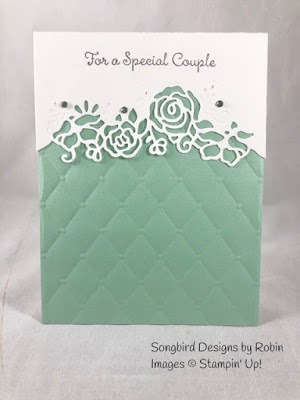 Stamp the bubbles from the Beauty Abounds Stamp Set up the right side of the cardstock. Emboss AFTER stamping with the Subtle Textured Impressions Embossing Folder. Die cut 2 of the dies from each of the scraps and adhere up the right side. Mount the Whisper White piece onto the Crushed Curry. Finish be attaching the piece to the Tranquil Tide Card Base. This card is so easy to make! All the gears are small enough that one pass through the Big Shot cuts them all. Thank you for stopping by today. 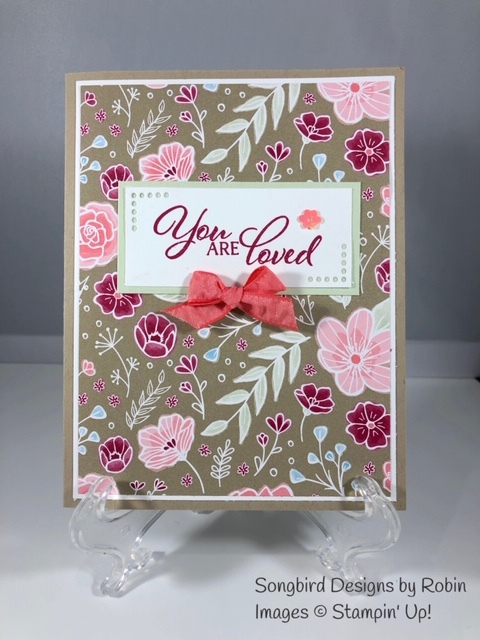 I hope you'll hop along to the next stop on the blog hop, Katie Ferguson at http://www.cottagepaper.com There's lots of inspiration to be found in this group - and you don't want to miss it!